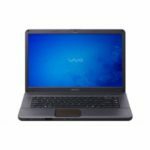 We introduced Sony VAIO VGN-NW320F/T earlier today, now we are going to introduce Sony VAIO VGN-NW330F/T, which is a 15.5-inch laptop equipped with a 2.2GHz Intel Core 2 Duo T6600 Processor, 4GB (2GBx2) DDR2 800MHz Memory, 500GB 5400RPM Serial ATA Hard Drive. 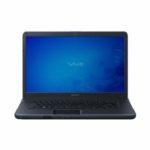 It sports a 15.5″ (1366×768) Widescreen LCD Display, Intel Graphics Media Accelerator HD, Built-in Camera & Microphone, 802.11 b/g/n Wireless Connectivity, DVD/CD±RW Optical Drive. 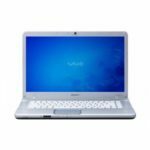 The laptop runs on Windows 7 Home Premium (64-bit) Operating System, it supports up to 4 Hours of Battery Life. Needless to say, such a configuration is good enough for our daily use, people are very satisfied with it. The Sony VAIO VGN-NW330F/T is a great value in a gracefully slim 15.5-Inch notebook. With the power of an Intel Dual Core CPU, loads of RAM, and multimedia capabilities, it’s the perfect PC for multitasking all you want. And the extra-wide 15.5-Inch (1366×768) LCD allows for an optimal viewing experience. So I think you guys will love this Sony NW laptop too. The Sony VAIO VGN-NW330F/T laptop comes with some very cool features, let's take a look. An Intel Core 2 Duo processor, webcam, and HDMI output come standard on this PC. In addition to other convenient connectivity features such as 3 USB ports, the NW notebook also features an HDMI output. Whether you're presenting the latest charts or watching a movie, an HDMI output delivers your media to external sources via a single cable, providing the optimal high-definition digital connection to your compatible HDTV or display. The NW laptop's 15.5″ display (diag.) also features a 16:9 aspect ratio which helps create a wider workspace. In fact, it's wide enough to display two documents or websites side by side on a single screen. 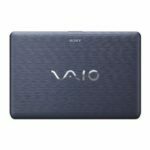 So what do you think about the Sony VAIO VGN-NW330F/T 15.5-Inch Laptop?